Tool Tuesday: ReciteThis - What Does This Mean to Me, Laura? So…you probably already know that social media has become increasingly visual. Images and photos typically get more engagement than plain text. But, what if you don’t have a fun photo to share? 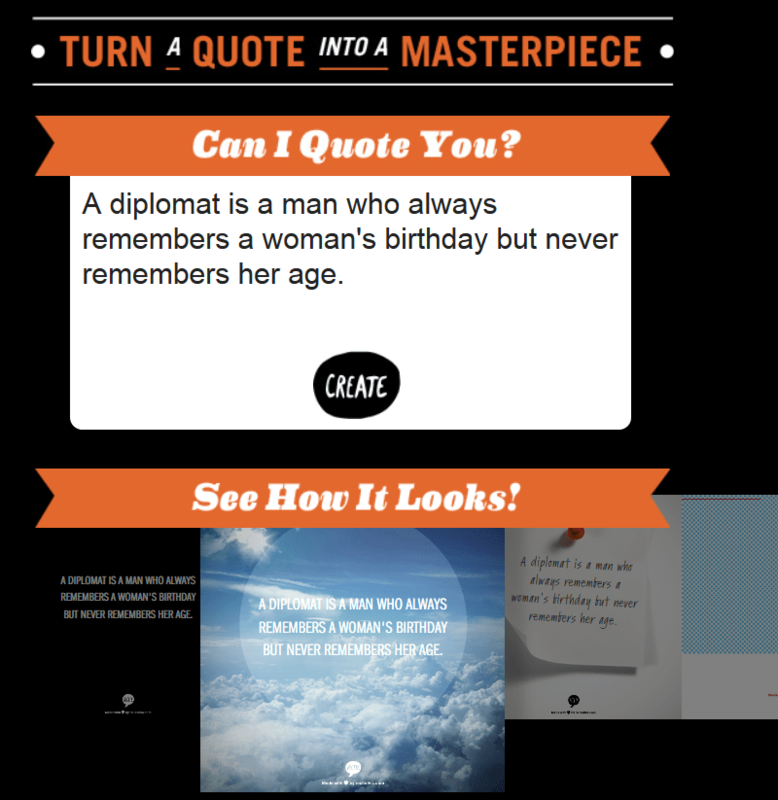 What if you have a great quote, but want to jazz it up for social media? This latter dilemma is easily solved, by a handy little site called ReciteThis. No worries about artistic abilities being required–this tool will take care of the niceties. You can use either your own quote, or one from the site’s existing collection. Quotes from the site are organized into broad categories, such as “humor,” “experience,” “inspirational,” and many more. You can browse to your heart’s content, and find the one that speaks most to you. Then, the fun part begins–picking a template. There is a wide variety of nice-looking backgrounds for your quote. You can preview your selection with your actual quote; if you don’t like how it looks, you can always choose another one. The sharing options are very good; all of the major social networks are available (even StumbleUpon), as well a permalink, download and “email to friend” options. No changes to the typography can be made. When you pick a template, you get what you get: you cannot choose other fonts or colors, for instance. When you pick an existing quote on the site, each quote does include its author. However, when you actually apply a quote to a template, the author disappears. In the image above, that’s a quote I manually entered, so it it includes the “(unknown)” attribution. A nice, simple interface for quickly creating social media-friendly quote content. Not perfect, but worth at least a few minutes look-see. Consider, however, the searchability of your pithy little bon mot, especially if it’s a new one you’ve just come up with that you feel more people need to see. Try finding that infographic that shows how 43% of the Librarians in the US rate in the top 10% of the hottest men & women. While Google is working to make the recognition of text in images better – it’s just not quite there yet. Use images of this type carefully.